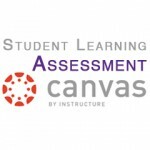 K-State Online powered by Canvas offers several assessment tools faculty can use to track and improve student learning in their courses. To ensure that your assessments are set up correctly in Canvas, K-State’s Office of Assessment is offering Course Assessment training. Sign in to HRIS. Under Employee Self Service, select Learning and Development. Locate Canvas: Course Assessment, and click View Available Sessions. Click the session you would like to attend. To learn more about Canvas training opportunities, view the training page on the K-State Online powered by Canvas website. Remember, all K-State courses need to be upgraded to K-State Online powered by Canvas by Dec. 31.